Iron Studios has opened up pre-orders for their Lord of the Rings Gandalf Deluxe 1/10 Art Scale Statue. The statue features Gandalf The Grey, pipe in one hand, cane in the other, standing atop a Shire walkway themed base. The statue stands at 9″ tall and is cast in polystone. The statue is priced at $109.99 with a release set for some time between October and December. Pre-order at the link below, and see the photos by clicking the headline of the story. Lord of the Rings Gandalf Deluxe 1/10 Art Scale Statue – Limited edition – Based on » Continue Reading. 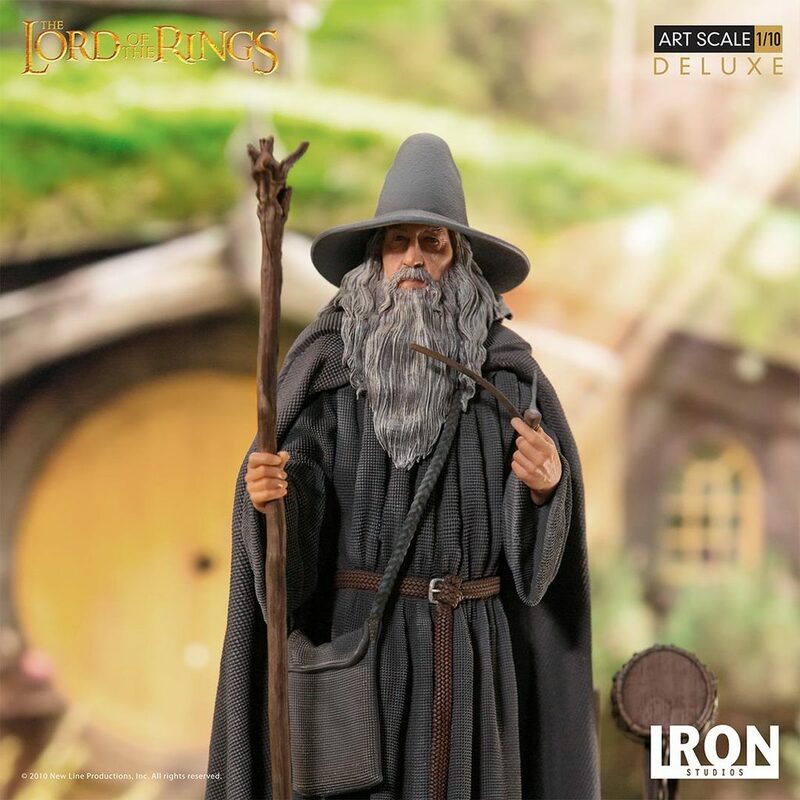 The post Lord of the Rings Gandalf Statue by Iron Studios appeared first on The Toyark – News.